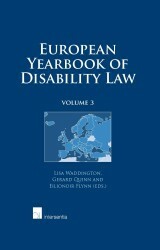 This book deals with certain legal aspects of the European social dialogue as described in the Articles 138 and 139 EC Treaty. On the one hand, legal problems with regard to the conclusion and implementation of agreements between the European social partners' organisations are discussed. On the other hand, the relation between the European social partners' organisations and the EC institutions is scrutinised. 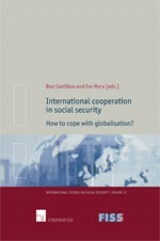 The thesis also gives some ideas for the content of a (possible) future European collective labour legislation. 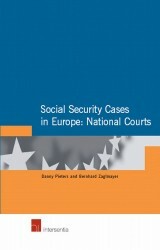 This thesis deals with certain legal aspects of the European social dialogue as described in the Articles 138 and 139 EC Treaty. On the one hand, legal problems with regard to the conclusion and implementation of agreements between the European social partners' organisations are discussed. On the other hand, the relation between the European social partners' organisations and the EC institutions is scrutinised. 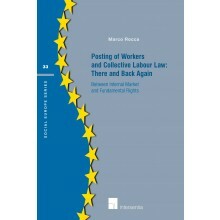 The thesis also gives some ideas for the content of a (possible) future European collective labour legislation. 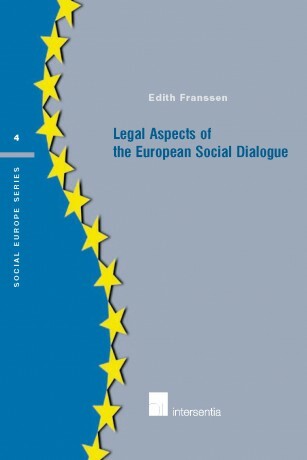 Part I is an introduction in which certain European social partners' organisations are discussed and the development of the European social dialogue is described. Part II deals with the consultation of the European social partners' organisations, which is done by the European Commission. It also discusses the legal aspects of the conclusion of agreements between the social partners and the enforcement of the rights and obligations flowing from these agreements. In Part III, the conversion of these agreements into Community legislation is discussed. Furthermore, the possibilities for the European social partners' organisations to submit a legal claim against the European Commission or Council of Ministers are scrutinised. Finally, in Part IV, some conclusions and recommendations are made. The thesis also contains an annex. In this annex, an overview is given of all Community legislation, in which the European social partners' organisations were involved, either because they have been consulted with regard to that legislation, or because the legislation is based on an agreement concluded between them.